Photofocus is starting a series of live portfolio webinars. 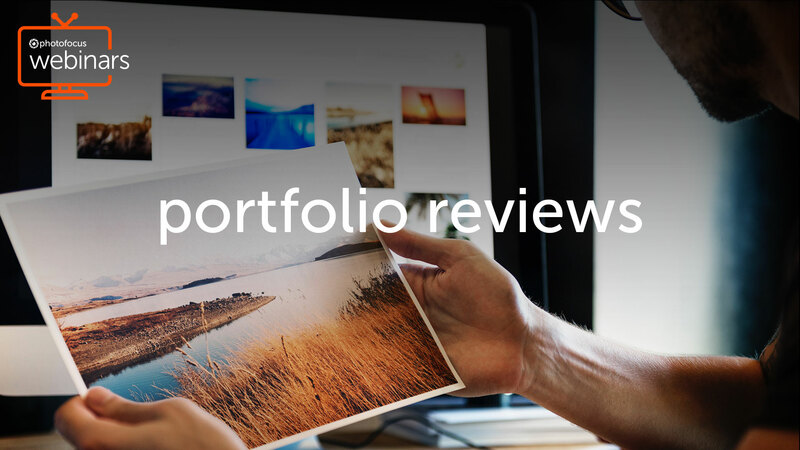 We are looking for portfolios from our readers to review. Create a portfolio of six to 10 photographs. Please! No more than 10 photos. The show will be hosted by a Photofocus writer and an influential photographer. The portfolio’s photographer will join us via webcam. The entire portfolio will be shown without comment from any of the photographers. Then each image in the portfolio will be briefly reviewed by the host and photographer. After that, a conversation with the portfolio’s creator will happen. We anticipate two reviews per webinar. These portfolio reviews are not meant to tear apart the photographs. They will be positive, constructive commentary initially with the host and the guest photographer. They will discuss the portfolio, its strengths and how the images might be made stronger. It’s never about what’s wrong. It’s about making what works, work even more effectively. The conversation will then include the portfolio’s creator. Here questions from our viewers submitted via the webinar’s chat window will be asked. The entire webinar from the review, to questions, to the discussion will be positive and affirming. Most of all it’s going to be fun for all. We are excited about getting this webinar on the air. Each one will be recorded so portfolio creators can review and share the webinar. Submit your portfolios today!